Seeking dependable, affordable, and consistently great plumbing services in Santa Monica? That’s what you’ll find when you come to Mike Diamond to solve your plumbing problems from leaks to replacements, emergency or otherwise. We offer same-day service for most plumbing emergencies and fully qualified technicians ready to service residents of Santa Monica and surrounding neighborhoods. 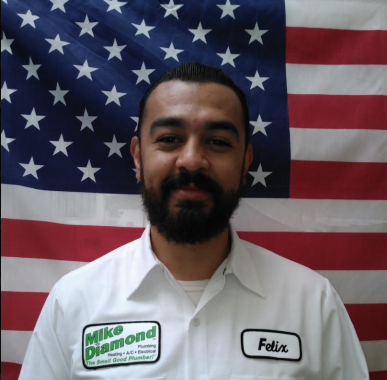 Contact Mike Diamond today or check out our coupon page for discounts on plumbing, drain cleaning, HVAC, electrical and more! Pipe Replacement – If you’re thinking about updating the aging pipes in your home, come to Mike Diamond for replacement services that cause minimal amounts of demolition. Julio was on time, knowledgeable, and efficient. I would recommend Mike Diamond. Larry was a top notch technician. Amazing service at the right price! Nick and Tim are great and they know support and services. Good tips on plumbing too. Thank you! Alway excellent working with Juan. He's very talented and has great "people skills" as well. Juan and Hasan were very professional and took care of the clog very quickly.